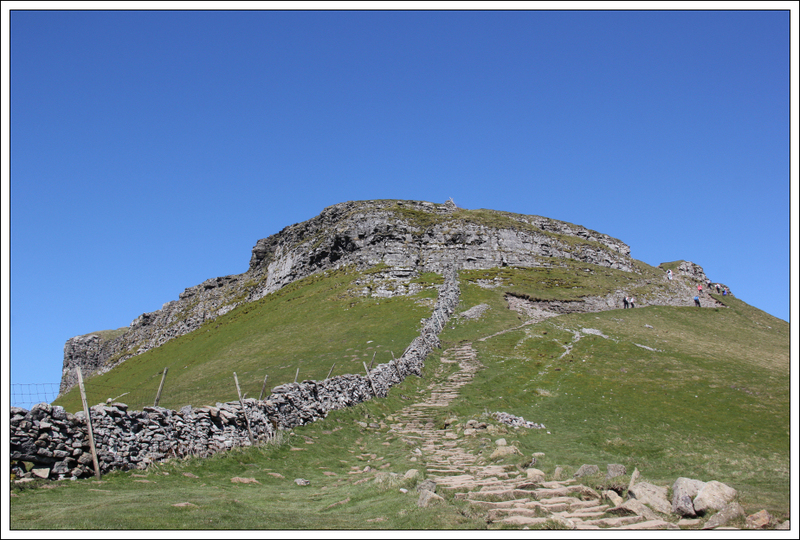 En-route to Snowdonia, I took a short detour today to Horton in Ribblesdale for an ascent of Pen-y-Ghent. 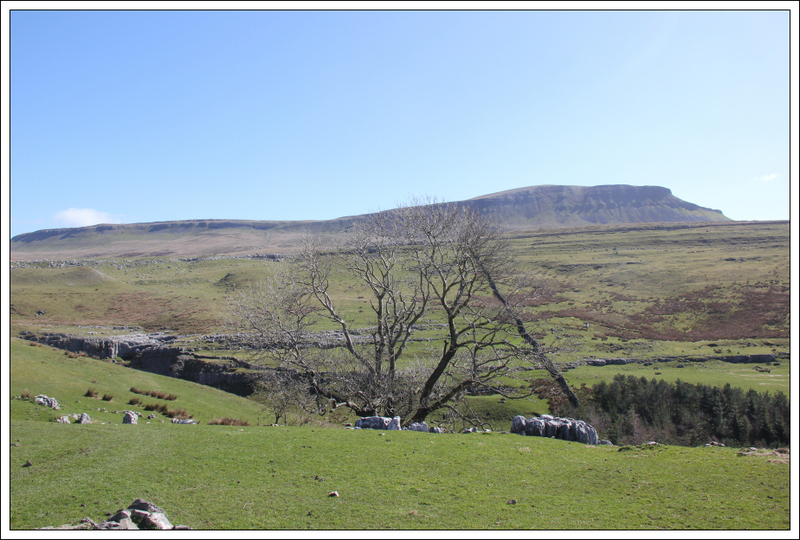 I have only walked in the Yorkshire Dales once previously when I ascended neighbouring Ingleborough. 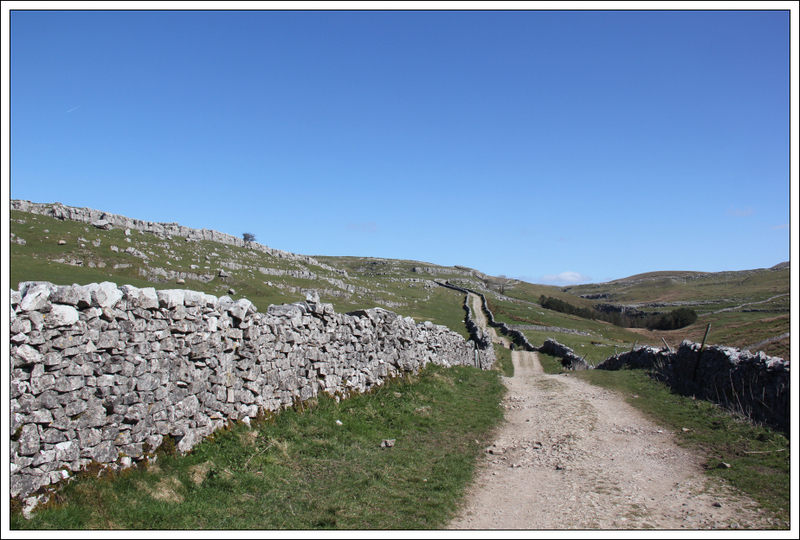 It was great to undertake the walk today with my friend Dave who met up with myself in Horton in Ribblesdale. We both parked on the road below the railway station where there is free parking. 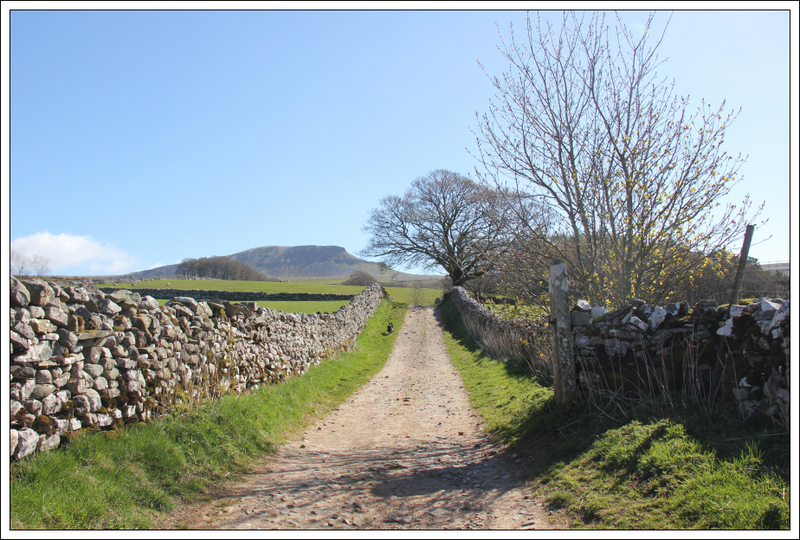 From the village we set off along the track leading to Horton Scar, Horton Moor and beyond to Foxup Moor. 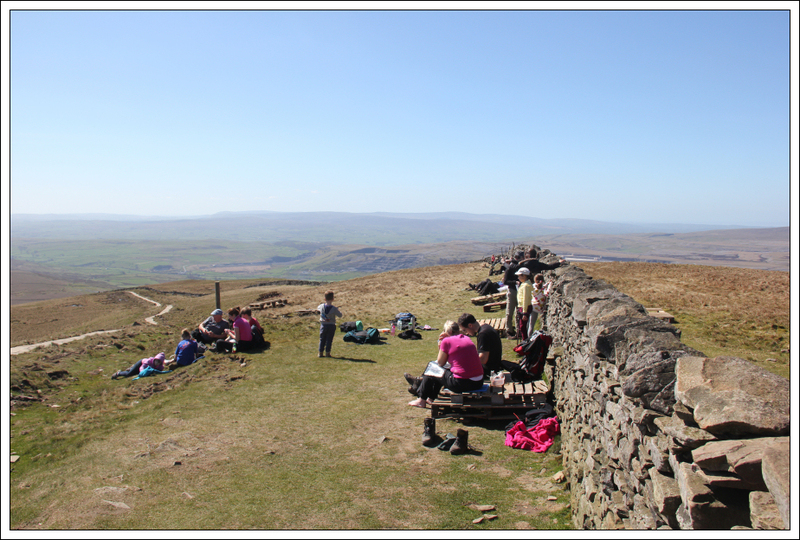 The weather was fantastic from the outset and remained so throughout the walk. 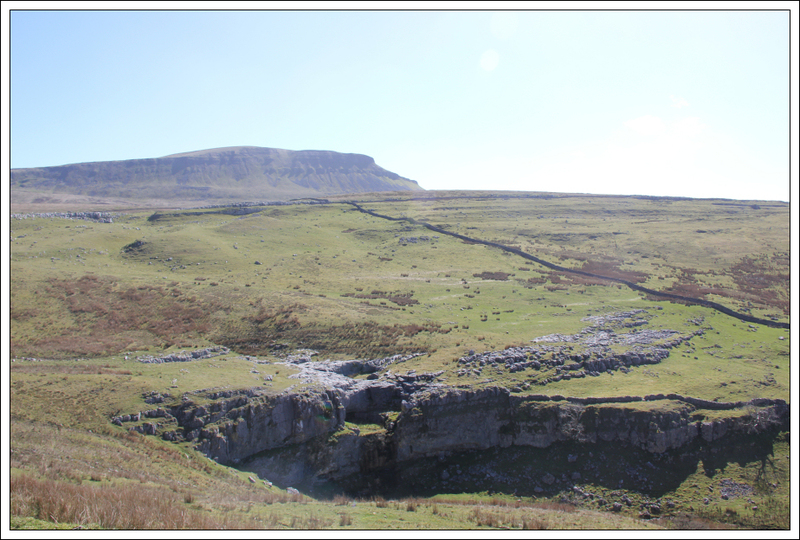 I love the geology of the three peaks especially the limestone pavements and incredible potholes. 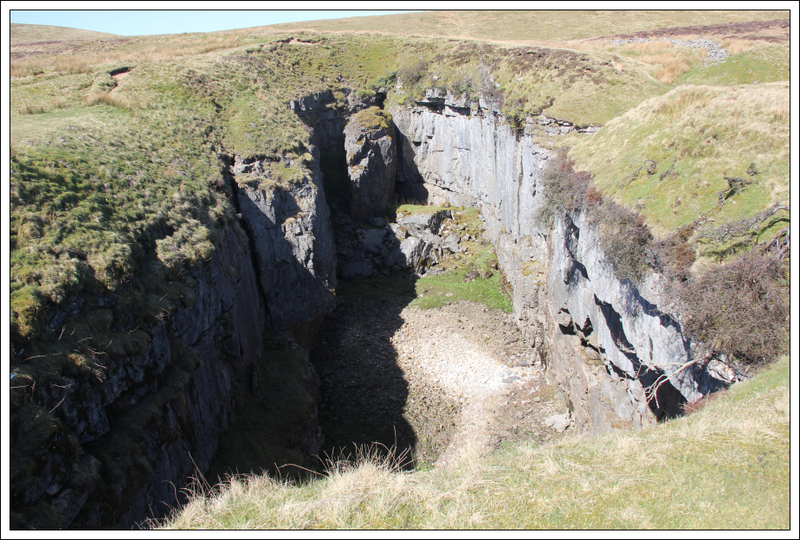 Hull Pot was well worth a visit. The stream that flows into the basin wasn't flowing today. 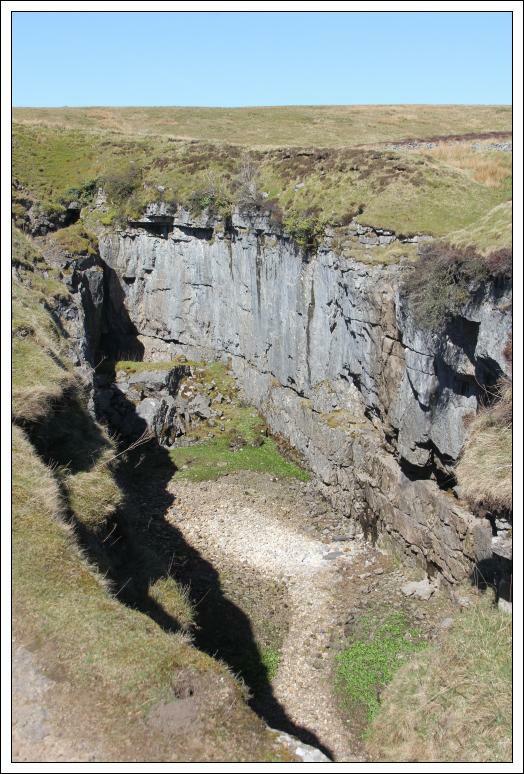 There are apparently 30 recorded climbing routes inside Hull Pot ranging from VDiff to E3. 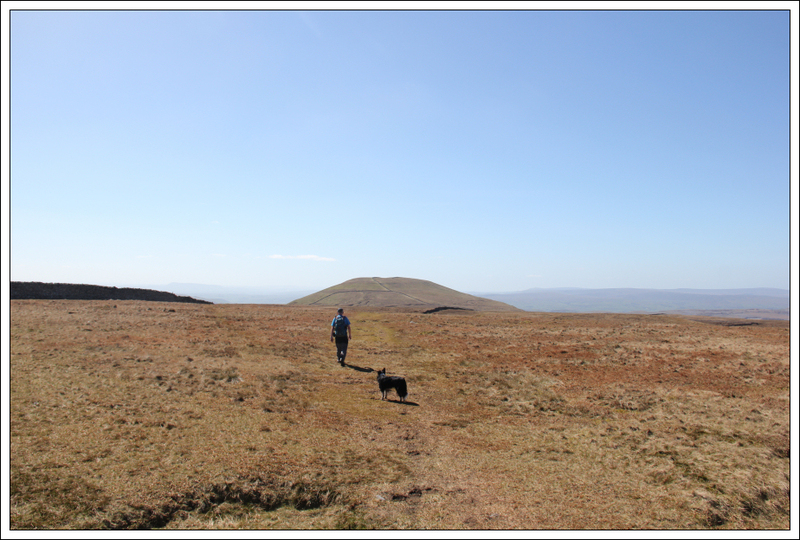 We pretty much made up our route as we went along opting to skirt round to Foxup Moor to ascend up the back of Plover Hill. 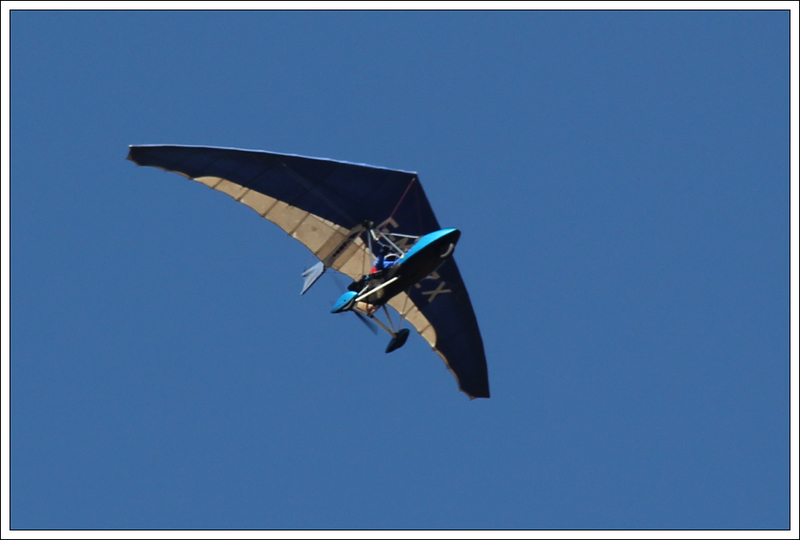 As we approached the start of the track leading up Plover Hill, a microlite flew above us. 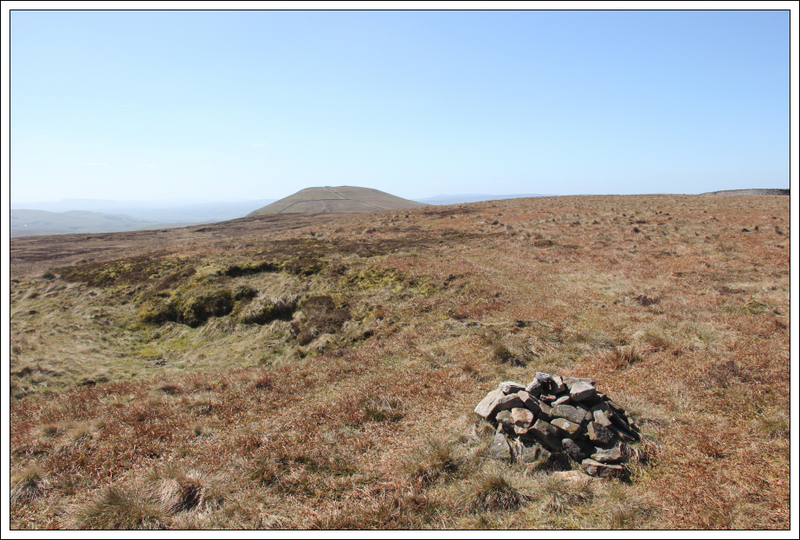 The ascent of Plover Hill was straight-forward. 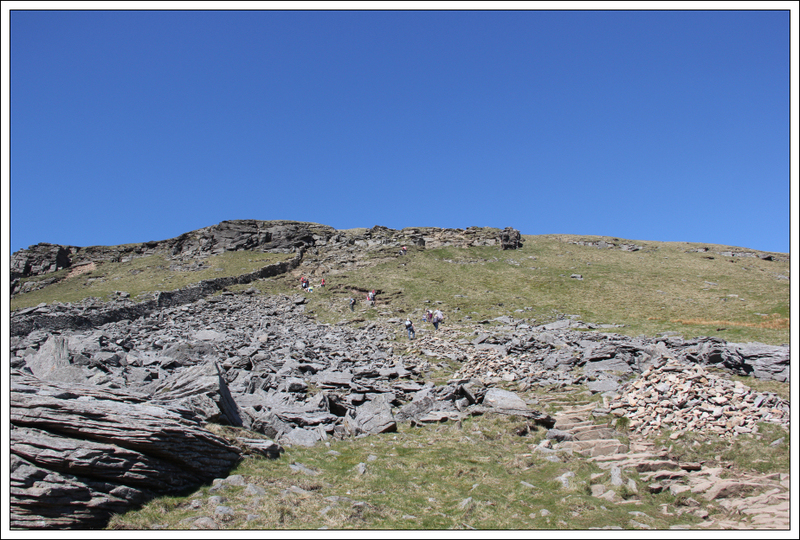 A grassy track up the lower slopes followed by a steeper section of stone steps. 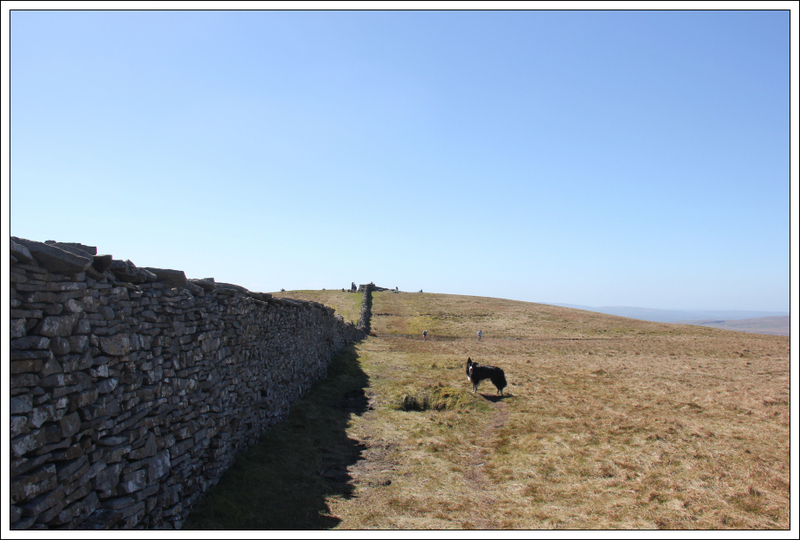 Once above the steep section we followed the wall towards the summit of Plover Hill with a short diversion from the wall to reach the summit cairn. 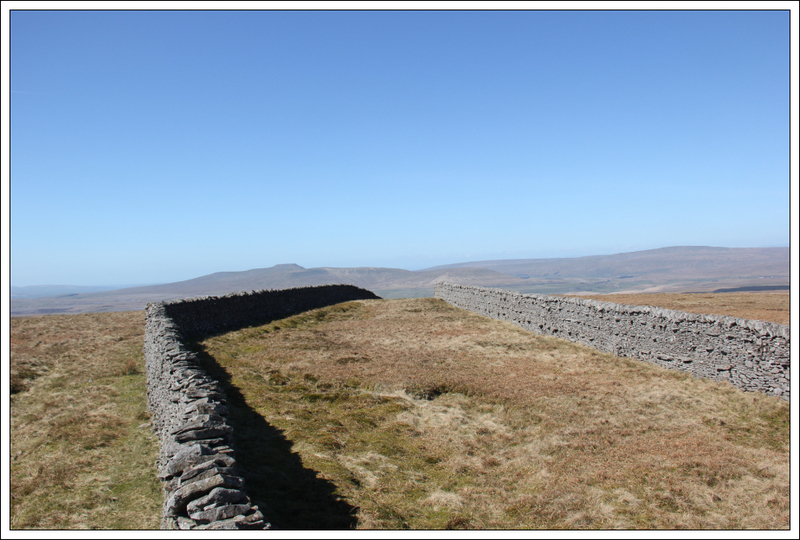 After a short stop on Plover Hill we continued on to Pen-y-Ghent. 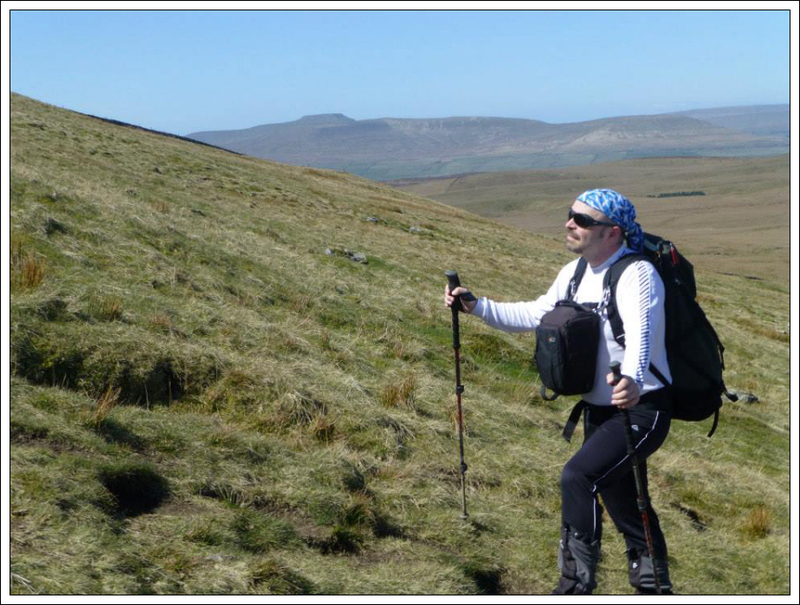 The ground between Plover Hill and Pen-y-Ghent was a bit wet in places. 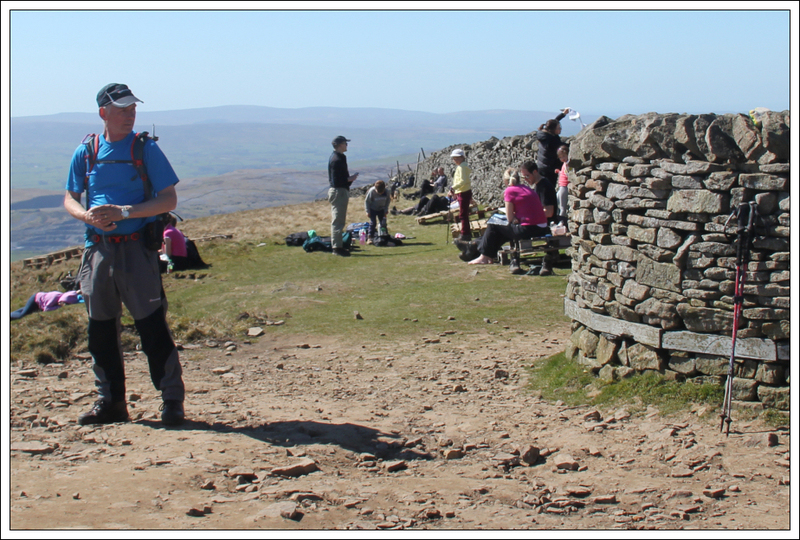 The summit of Pen-y-Ghent was very busy today as not only was it a beautiful day it was also Good Friday. 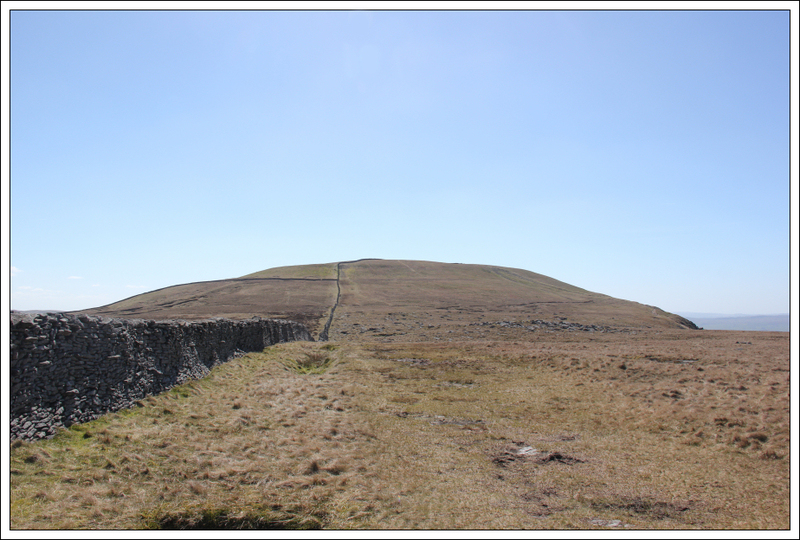 The only summit I have seen with more people on it is Ben Nevis. 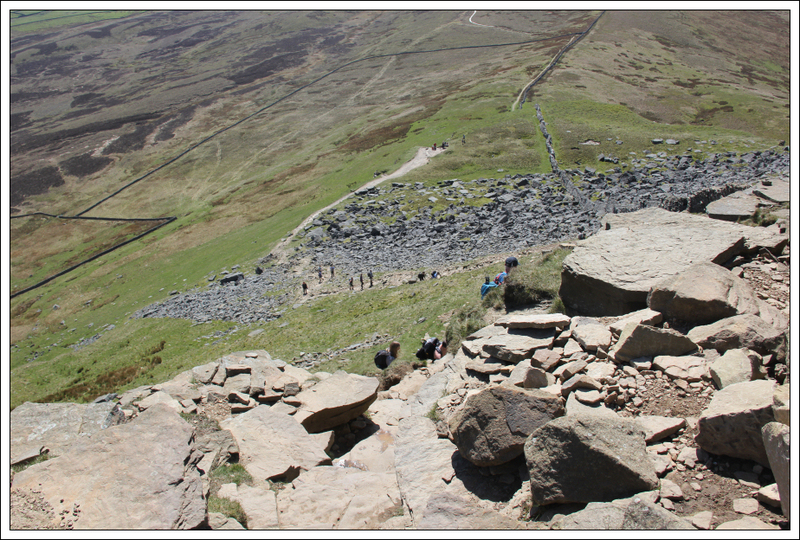 The initial descent from the summit was along a wide pavement of flagstones. 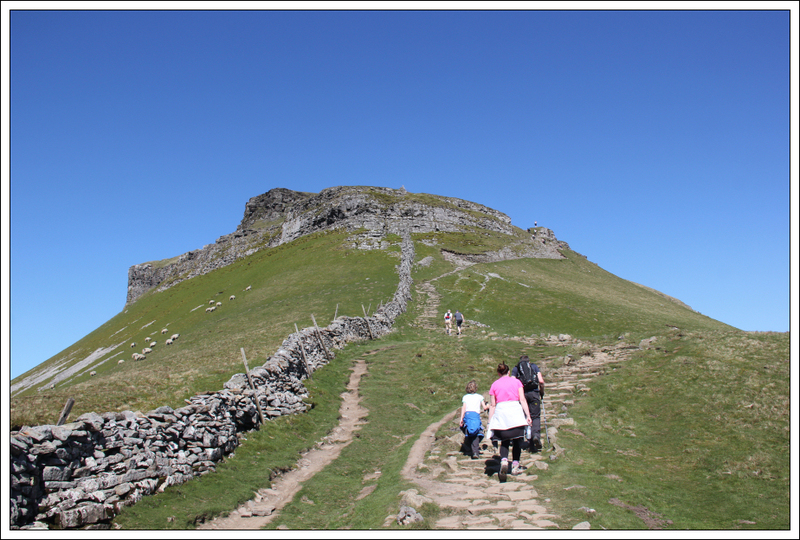 Beyond the flagstones a path wound its way down through the crags. 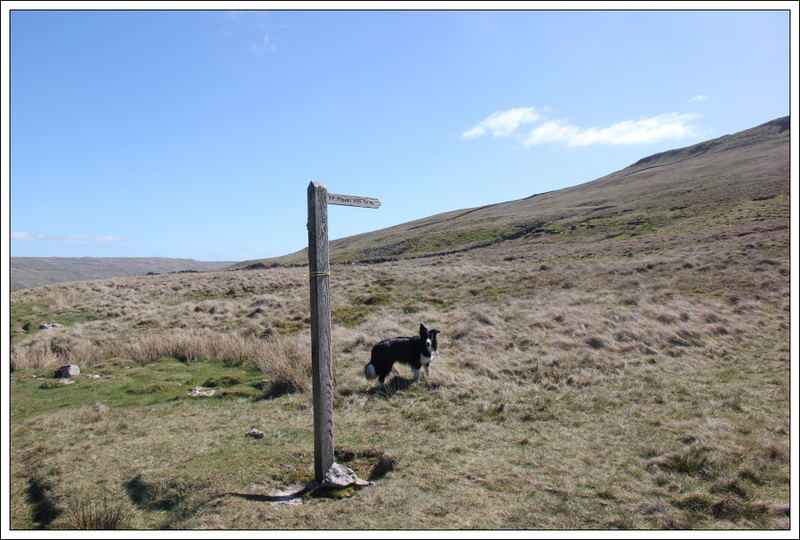 We seemed to be the only people today undertaking a clockwise circuit of the hills. 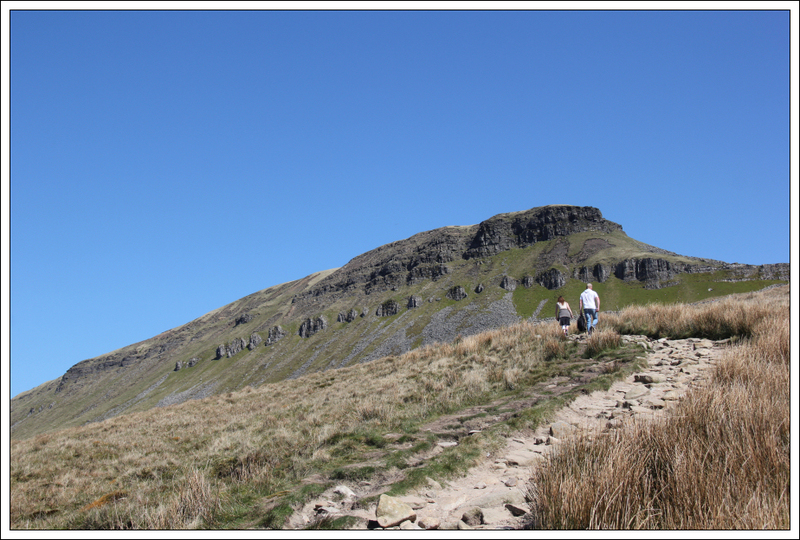 Everyone else was going anti-clockwise. 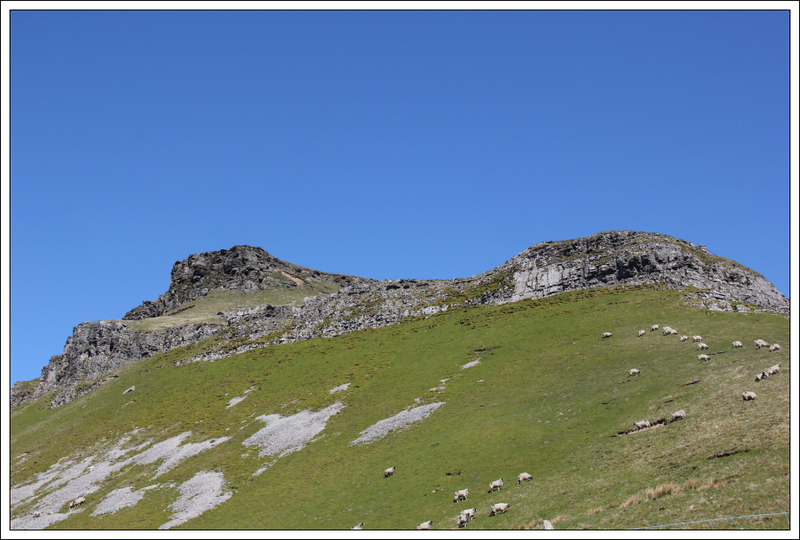 I believe there is a short Classic Rock route somewhere on these crags. 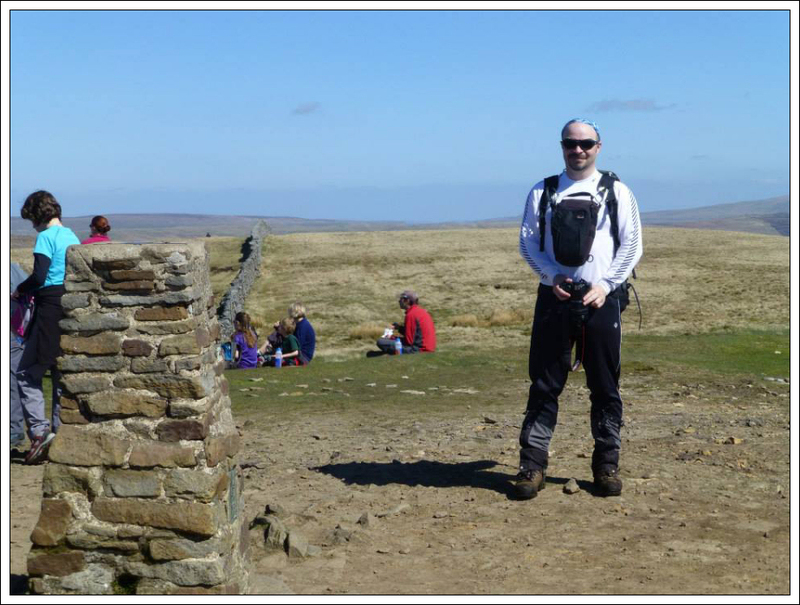 This was a really enjoyable day out. First sunburn of the year .